So many options exist today for adding a little colour into your life. 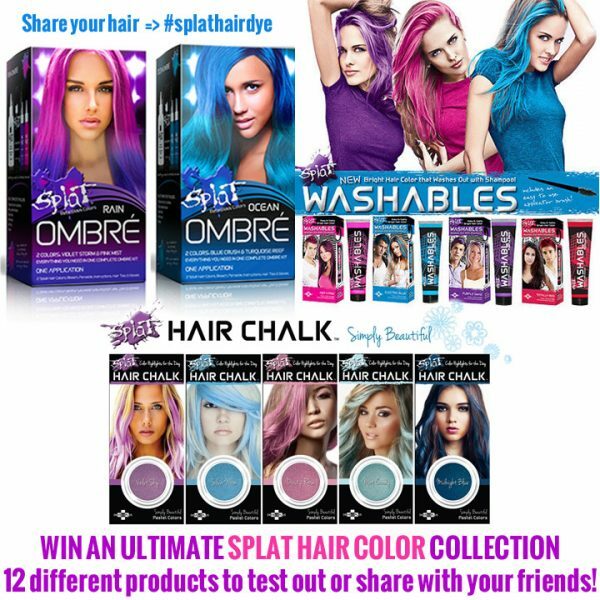 Permanent hair colour dyes, washable colour, colour chalks, dual colour kits, ombres and more are the tools to experiment, be creative and have fun with. 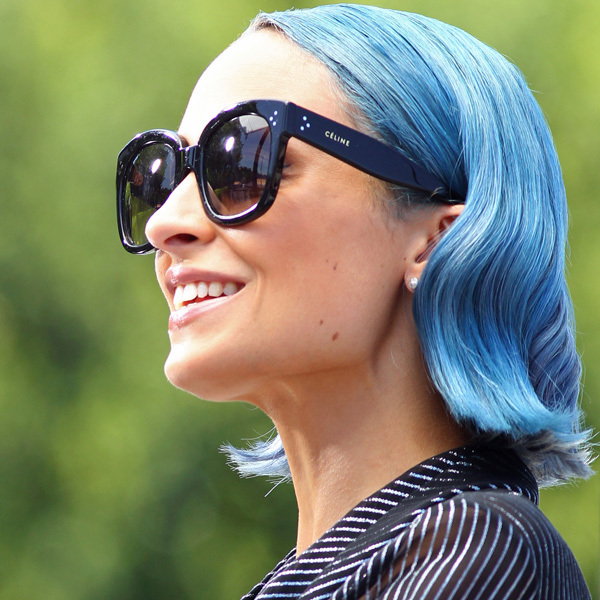 We’ve collected a handful of celebrity hair colour examples to inspire you. Enjoy! Kylie definitely has fun with hair dye, only matched by uber-playful Katy Perry, but Kylie aims to bring a touch of class to the look. We could do an entire article on her different looks and colours but we’ll pick this one (and a second at the very bottom of the article). 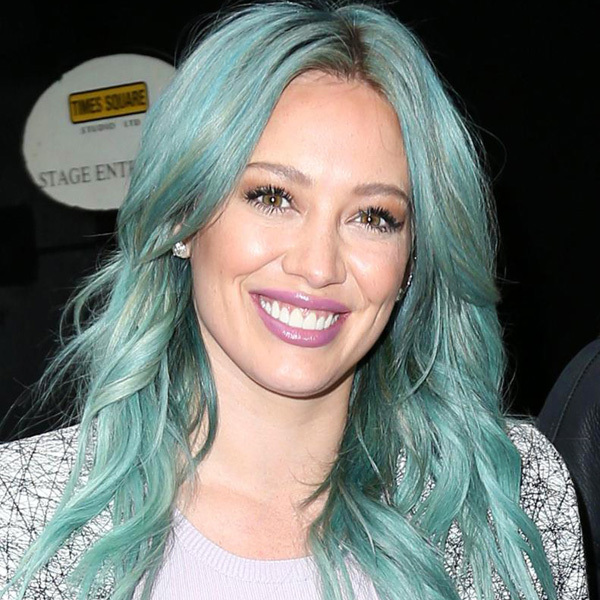 Here she is stunning on the red carpet with a turquoise ombre: we really love Kylie in pastels. Nikki wears these candy floss hues like no else can. Talking about cotton candy, we could use some right now. Our Bajan (that’s the common term for “Barbadian”) princess, and former Faze cover girl, loves her red and has gone back to it time and time again. Here we see why, it’s a great match for her eyes and skin tone. 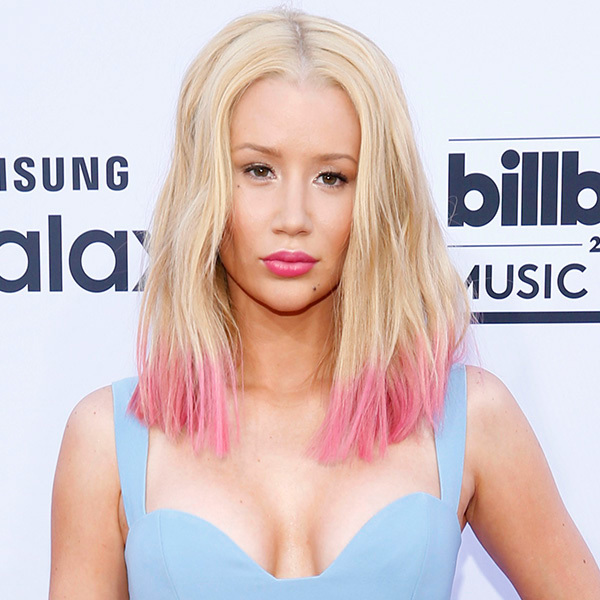 Our tough Aussie girl-rapper struggling to look tough with these playful pink tips. We seem to see a lot more of Nicole these days than her old buddy Paris Hilton, and that’s not a bad thing considering her ever-changing looks, like this fresh blue slick look (love those Celine shades on her, too). Rita blows kisses to the crowd on the red carpet, knowing she has nailed it with the soft pink complimenting her long golden locks. The soft makeup/lipstick works perfectly as well, especially for a daytime event. Away from the spotlights and the red carpets the lovable Ms. Hough heads out for a casual day in town, sporting the ever-popular-for-blondes pink. And she wears it well, we love it. The British singer/actress is fond of her dark indigo/blue steel hue, and here she’s paired it with eye shadow and a dress to match. Between wigs and dye jobs, Katy probably has a different look/colour every day of the week. And we love it, Go Katy Go! Okay, so this three-time Faze Magazine cover girl didn’t really wear this striking rainbow (although the pink is mostly real). A creative fan had a little fun on Photoshop. But…this is so awesome that we think Avril, or someone equally as playful and carefree, should try to pull this off ASAP! Perfect for that upcoming summer EDM festival perhaps? 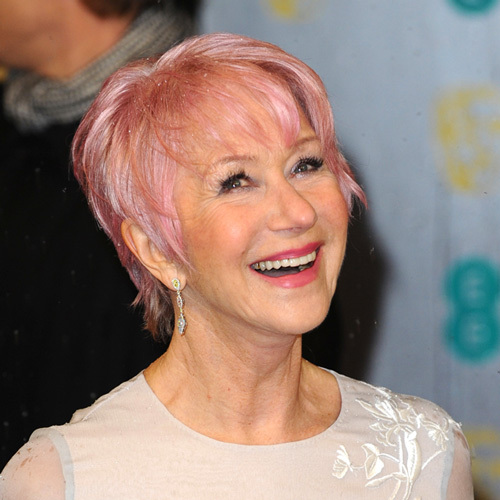 The Canadian star adds some subtle candy floss pink to her beautiful blond. Another former Faze Magazine cover girl (two times!) looks happy as ever experimenting with icy blue. Colour for our old(er) stars. 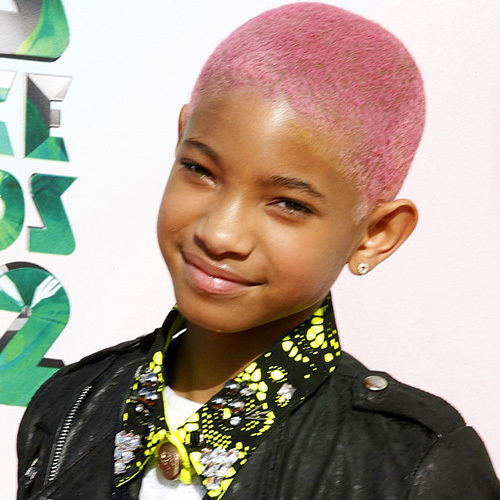 The British mega-star is truly radiant sporting her pink locks. And colour for the younger ones too. This is fresh, fun and adorable, as is Willow’s smile. Again, Kylie is completely pulling off pastels, and pairing beautifully with soft makeup, and a soft (white) dress. Just a few weeks after going blond she couldn’t help herself and made a fabulous choice with this soft mint green dye. And, having been suitably inspired, now it’s your turn to really experiment with colour! We’re celebrating spring with an awesome Splat giveaway! Get in on the action over at Twitter or Facebook.